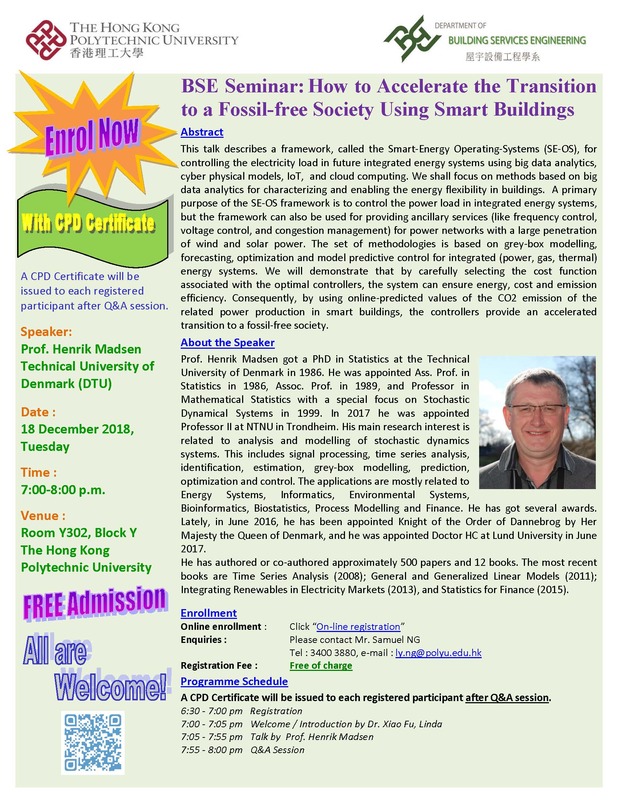 05-02-2018 Henrik Lund Workshop at the Danish parlament Christiansborg (in Danish) Brint frem for biomasse i energi-systemet? 05-12-2017 Henrik Madsen iiESI Workshop on Infrastructures, NREL, Denver, Colerado Can heating and cooling really be flexible enough to have an impact on the energy infrastructure? 06-07-2017 Henrik Madsen University of Granada, Spain What can we learn from data ? 07-08-2015 Henrik Madsen Kamstrup-AVA-CITIES meeting What can we learn from meter data? 11-02-2015 Henrik Madsen EuroTech PhD School, EPFL, Lausanne What can we learn from data? 08-10-2014 Alfred Heller Water DTU Workshop, DTU, Denmark – How can Cities work with the Energy-Water Nexus? Presentation. 08-10-2014 Henrik Madsen ERC/UCD Symposium, Dublin, Irland Presentation.